Summer is here, and it’s time to fall in love…with The Pool House! With its sky-high location, shimmering pool, and rooftop bar, The Pool House is undeniably San Diego’s hottest destination for summer. And these are just a few of our many selling points! 1. Those sunny San Diego skies. When most people think of San Diego, the first things they think of are “sun” and “fun”. Well, this reputation is absolutely warranted, and The Pool House is undoubtedly the best place in the city to enjoy both! 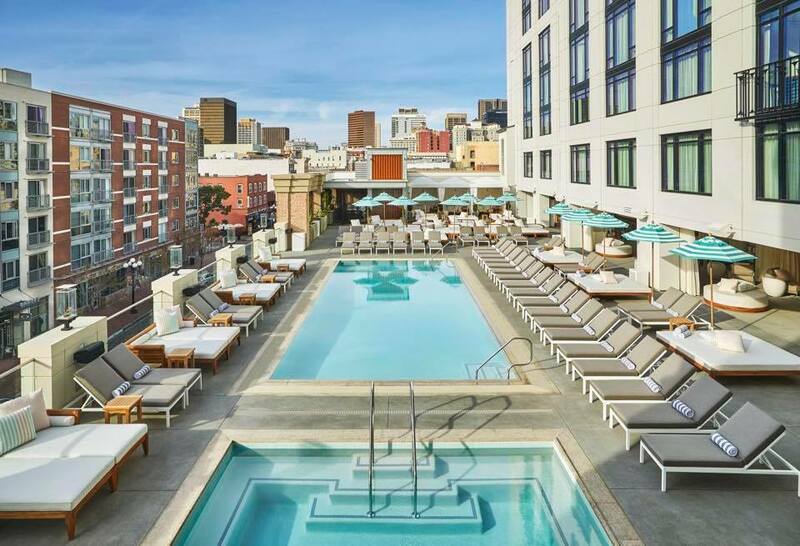 Set on a dazzling rooftop setting in the vibrant Gaslamp Quarter, The Pool House boasts some of the best views of the city and is undeniably a fantastic place to soak up those legendary San Diego rays. 2. The pool (duh). While hot fun in the summertime is great, sometimes you just need to cool down! As promised in the venue’s name, The Pool House has the perfect antidote to the summer heat: a beautiful, shimmering pool! While pools are always a great place to spend time in the summer, our elegant rooftop setting and beautifully appointed indoor-outdoor areas featuring cabanas and daybeds make it a particularly pleasurable spot to lounge. 3. Two words: rooftop bar. Which is better: a bar, or a rooftop bar? We’re willing to bet that at least 9 out of 10 of you said rooftop bar, and that the last person’s lying. The fact is, drinks are better when enjoyed in a spectacular rooftop setting. The Pool House, with its unique location on the roof of The Pendry San Diego, beautiful views, and a vibrant pool, offers a truly incredible place to enjoy a cocktail or two. 4. Frozen drinks. In the summer, chances are you’re craving a cocktail that’s frosty and cooling. At The Pool House, we’ve got what you want and need. Our extensive cocktail list includes plenty of frosty concoctions, including an entire section of Frozen Drinks, including the EDM, which is made with Casamigos Blanco Tequila, Triple sec, and Fresh Sweet and Sour (your choice of original or strawberry); the Wet Sand, which is made with Malibu Black Coconut Rum, Pineapple Juice, and Piña Colada Purée; the Cherry on Top, which is made with Belvedere Wild Berry Vodka, Stoli Vanil Vodka, and Cherry Purée; and of course, we have a perfect Strawberry Daiquiri, made with Bacardi Superior Rum, Strawberry, and lime! 5. Not just frozen drinks. While frozen drinks are great, we understand that variety is the spice of life. Our creative cocktail menu includes plenty of other delicious options, from a robust Mojito section to creative takes on the Moscow Mule and creative Margaritas. We also have a full list of beer, wine, and bubbles, and plenty of non-alcoholic options, too. 6. 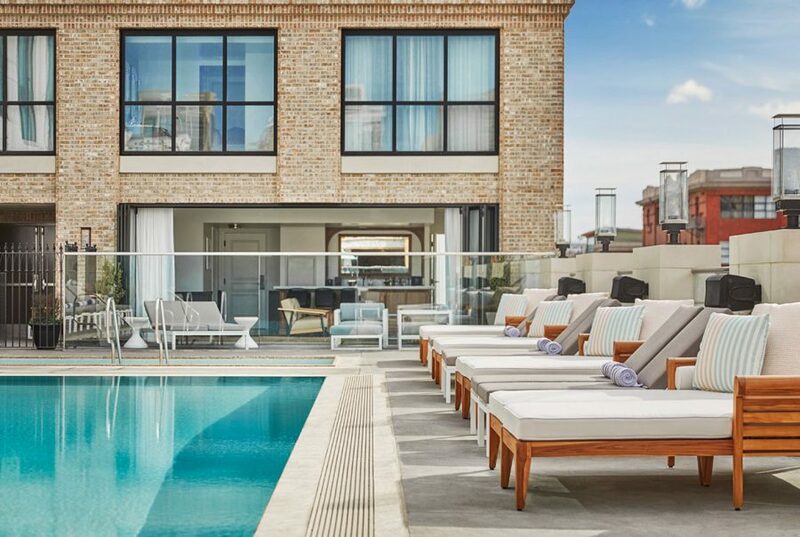 The Pendry: the perfect summer getaway. If you’re looking for the perfect summer getaway, look no further than The Pendry San Diego. The Pool House is located on the hotel grounds, and hotel guests have special access to The Pool House as one of their perks! 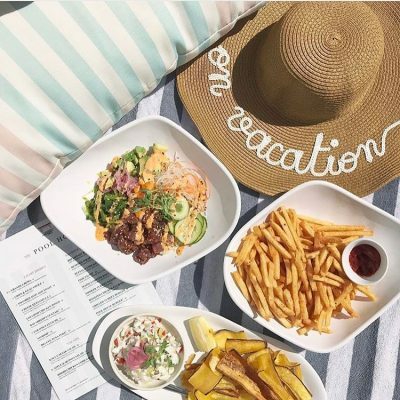 If you’re making San Diego a summer getaway, The Pendry is an elegant and beautiful hotel pick; heck, even if you’re a local it’s the perfect spot for a staycation! 7. Fresh, healthy fare. Nobody wants to be eating overly heavy food in the summer. 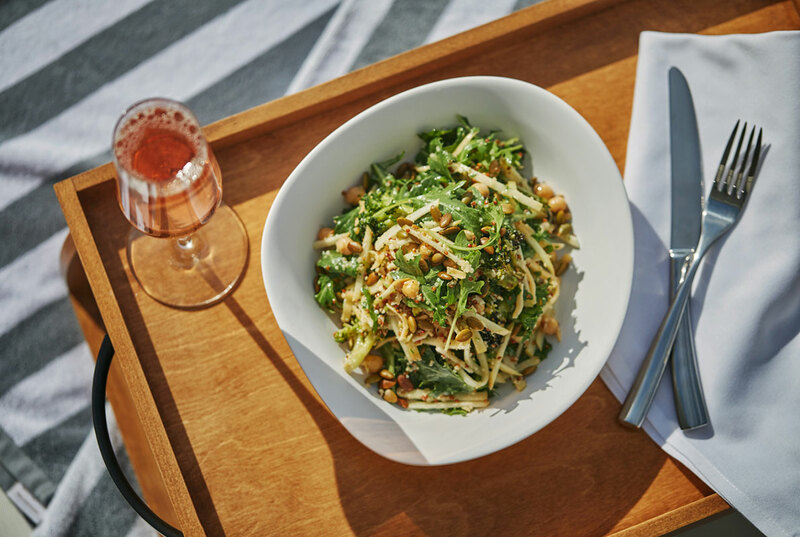 At The Pool House, feature plenty of fresh, light fare made with local and seasonal ingredients whenever possible. 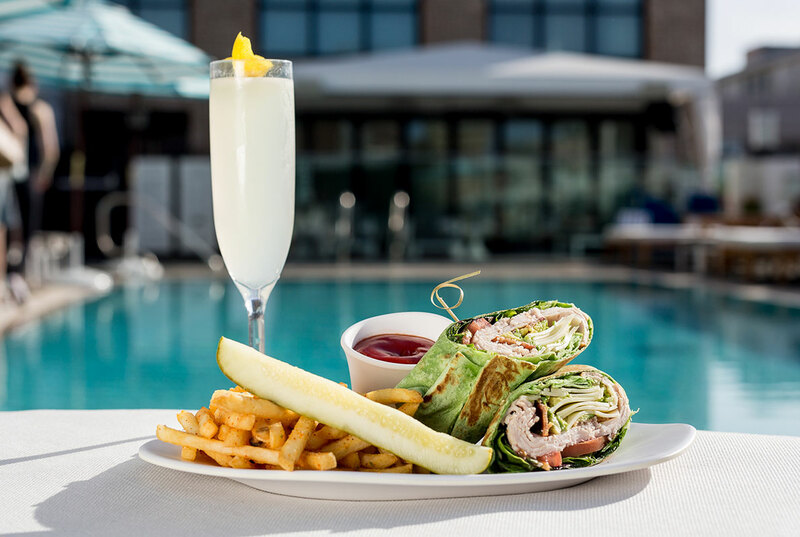 This is poolside fare you’ll feel good about eating! Whether you’re feasting on our house-made Chips and Guacamole (made with lime, serrano, and red onion) or sharing an order of our Lollipop Chicken Wings (served with house-made bleu cheese, and made Buffalo-style) or keeping it healthy with our amazing Kale Caesar Salad (served with lemon pepper dressing, parmesan, and sourdough croutons), you’ll love every bite of our food menu offerings. 8. Pool House Sundays. 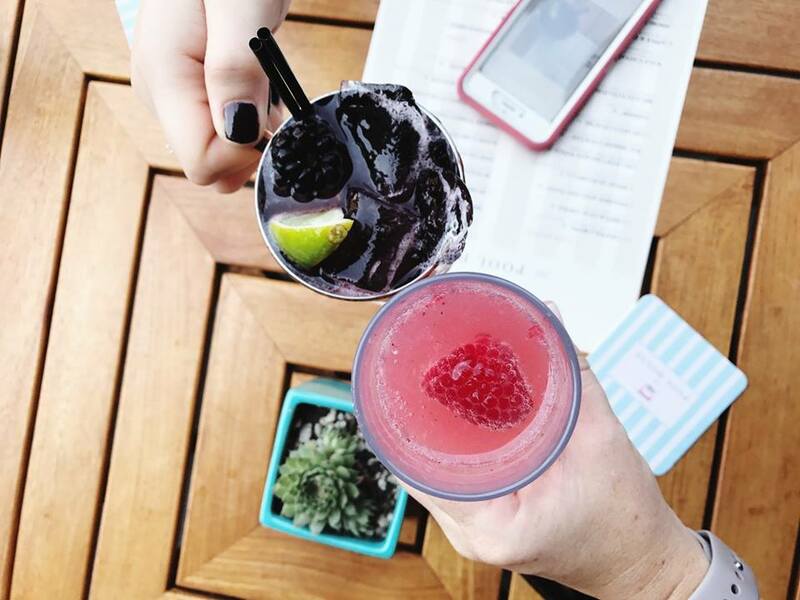 At The Pool House, we like to think of Sunday as our FunDay. All through the summer, you can enjoy extra special offerings at The Pool House starting at 1pm each Sunday. If you choose to live it up in VIP style, you can indulge in bottle service or reserve a private cabana or daybed for a truly luxe experience. Pool House Sundays also bring a unique roster of entertainment options, featuring National DJ acts on a frequent basis. 9. Available for parties and events. Everyone knows that summer is the best time for parties and events! If you’re interested in hosting your event at The Pool House, we can work with you! The venue is available for private buyouts and events. To learn more, you can contact us via our website to get the ball rolling. Ready to visit? Be sure to make your cabana and daybed booking in advance, and we’ll see you in our sunny San Diego location soon! Have you experienced summer at The Pool House?